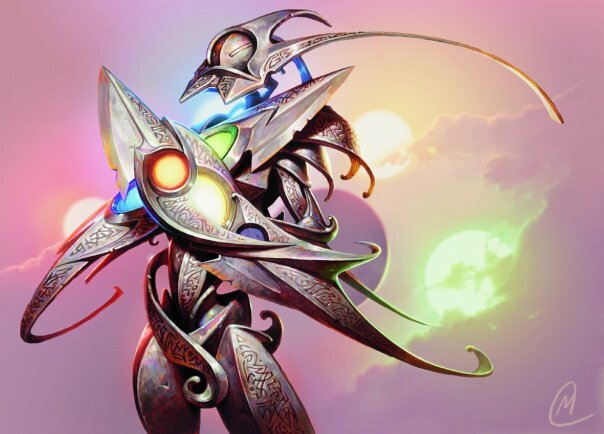 As mentioned in the deck analysis, the Metalcraft deck is- not surprisingly- the flagship deck for the ‘fixed’ version of Affinity, Metalcraft. Not only did I want to see how it was going to perform in the field, but I also determined at the outset that I wanted to record one additional metric, which was the number of turns that Metalcraft was ‘turned on,’ and how long it took me to get there. 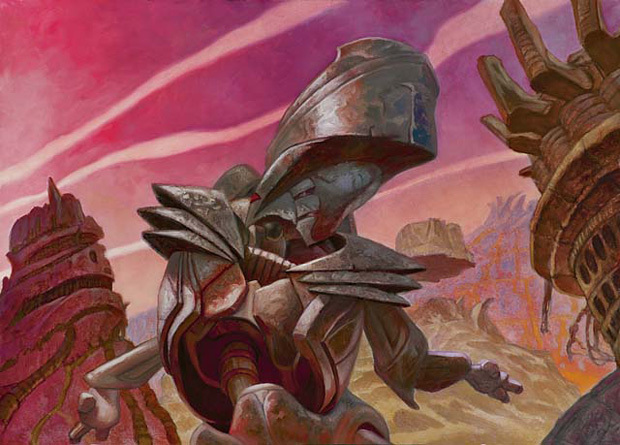 The deck places a great deal of importance on having three or more artifacts in play, and indeed a scan of the cards shows that without the mechanic engaged, the deck itself is somewhat mediocre. I expected to struggle a little in the early game, then hit the ‘turbo boost’ once my third artifact manifested itself. Volunteering to sit across the table was the ever-reliable Sam, who opted this time around to give Deadspread a try. I was pleased at the selection, as I’d wanted to see Deadspread in action a few more times. Today I would get my chance. After our first turn of lands, Sam on the play gets a solid start with a Thrummingbird, the cheapest Proliferate option she has available to her. For my part, I’m out with an Embersmith and looking forward to the prospect of sniping the bird from the sky next turn. Sam beats me to it, though, with a turn 3 Contagion Clasp, killing the Embersmith, after nicking me for 1 with the Thrummingbird. I grumble, play a Darksteel Axe, and pass, already missing my first land drop. Turn 4 and Sam’s off to a very strong start after deploying a Trigon of Corruption. She comes in with the ‘Bird again, and passes. I topdeck a Mountain and play it, along with a Golem Foundry. Next turn Sam’s option-light, swinging in for 1 more damage but keeping mana open for the Contagion Clasp. I’m out with a Riddlesmith, and Sam Proliferates at the end of my turn. Having had enough of the Thrummingbird and knowing it’s going to help eat any creatures I manage to play alive, I Galvanic Blast it next turn when Sam sends it flying in to attack. She has no further play, and it’s back to me. I swing back with the Riddlesmith, then follow up with a Trinket Mage. Eager to get Metalcraft on-line, I fetch an Accorder’s Shield. It’s still nearly tied at 18-17. Sam’s a bit stuck. She’s had two turns with no play other than attack, and now all she manages on turn 7 is a Maritime Guard. I drop the Shield, then Equip the Darksteel Axe onto my Trinket Mage, swinging in for 4. I then play the Golem’s Heart, tapping me out. Had I decided to tap out I might have played the Heart first to gain a life from the Shield, but as it stands the Heart is a last-second decision. 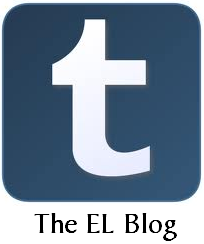 On the upside, Metalcraft is now on-line. Sam sneaks in a snipe on the Riddlesmith at the end of my turn with her Trigon of Corruption, killing it, and then it’s over to her. For turn 8, Sam gets a second Trigon out, the Trigon of Thought. She attacks for 1 with the Guard taking me to 16, and passes. I fire back with the Axe-wielding Trinket Mage, then drop a Chrome Steed (gaining a life from the Heart). Over to Sam, she drops another Thrummingbird, but at the end of her turn I cash in three counters from the Golem Foundry and place a 3/3 beater on the board. I then swing in with the 3/3 Golem, the Steed, and the Mage, with the Steed taking a Doom Blade to the face and going down. Sam follows that up with a Twisted Image on the 4/2 Trinket Mage, making it a 2/4 for the turn, and chumps to Golem with her Maritime Guard. The 2 she takes brings her life down to 8. I follow up with a Snapsail Glider, and immediately Equip the Accorder’s Shield to it, looking to avoid any -1/-1 counter shenanigans now that I have an aerial blocker. Back to Sam, she gives my Golem token -1/-1 with her Trigon, then casts Steady Progress to Proliferate. My poor Golem is now a 1/1, and her Trigons have another counter apiece. Undaunted, I keep the pressure on, swinging back with the Mage, the Glider and the Golem. She throws the Thrummingbird in the path of the Trinket Mage, taking 3 damage from the others. I deploy the Etched Champion (+1 life from the Heart), and pass. A scare in the 11th as Sam breaks out the Carnifex Demon, but she has no mana to engage its activated ability. I don’t give her the chance, as I equip the Axe to the Champion and alpha strike for the win. A turn-1 groaner from Sam, she leads with a Swamp and a Fume Spitter. One weakness of Deadspread is that while it can blow counters wide open once it optimises, it struggles a bit to get that initial foothold, and the Spitter fills that void splendidly. I have no turn-1 option, but manage a Silver Myr the next turn after Sam spends it attacking. She shores up her position with a third-turn Moriok Reaver after swinging in again with the Spitter. I again deploy an early Golem Foundry, dropping some early momentum in exchange for some power later in the game. More bad news, though, as Sam takes advantage of turn 4 to play a Thrummingbird, and she’s in as good shape as the deck could hope to be. Without Metalcraft on-line, my match play of a Lumengrid Drake has less impact than it should, but still gives me something up in the air. Swinging in for 3, Sam follows up the next attack with a second Reaver, and I’m starting to feel a little worried. I’m down to 11 life, and my next turn yields me nothing except for a Mountain. It’s back to Sam for turn 6. Sensing weakness, Sam goes all in, sending the Reavers, Spitter and ‘Bird into the red zone. I block the Thrummingbird with the Drake (which Sam kills after combat by sacrificing the Fume Spitter), and Galvanic Blast one of the Reavers, dropping to 7 life. But when I play the Etched Champion next turn, bringing Metalcraft up, I turn the tide almost immediately. Fresh after the Champion springs the Blade-Tribe Berserkers, 6/6 with Haste using up the rest of my mana but absolutely worth it. With nothing back for defense, Sam’s at 14 life and looking for an answer. She draws, plays a Swamp, and passes. I’m back in on turn 7 with the Berserkers after dropping a Memnite from my hand to the table. I deliberate going in with the Champion as well, who will be unblockable, but err on the side of caution. Next turn she’s struggling to find an answer, and the Leaden Myr just isn’t it. I counter with an Iron Myr (which adds the third counter to my Golem Foundry for a 3/3 Golem), then swing for the fences with everything. In the end, it’s just too much, and though she lasts a little longer (blowing a Steady Progress solely for the cantrip), she’s unable to hold out for long. Our final match, and again Sam’s out with an early Fume Spitter. This time, I’ve got a very strong early-game hand, and drop a Mountain, Sylvok Lifestaff and Accorder’s Shield onto the battlefield to lead off. Sam follows that up with a swing from the Spitter and a Thrummingbird- that dangerous combo again. A turn-2 Iron Myr gives me some ramp, but no aggressive option yet. Still, I’ve hit Metalcraft on turn 2, and should be in good shape for the rest of the match if Sam doesn’t knock out an Artifact. Ignoring my Myr for the time being, she swings in for 2 and casts a Maritime Guard. Again I’ve drawn an early Golem Foundry, and lay it down for my turn 3 play. If nothing else, it secures Metalcraft, and a good thing, too- Sam blasts out on turn 4 with a Culling Dais and Contagion Clasp, killing my Myr, then attacking for 3. I’m at 14 life. I manage a Trinket Mage in response, and tutor for the Darksteel Axe. I’m tempted to get a Memnite instead, but want to try and lure Sam into popping her Spitter early. It works- Sam takes the bait and targets the Mage on her turn after swinging in with her beaters, hitting me for 2. She drops a Necrogen Censer, and passes. She would have killed the Mage if she’s put the counter on before attacking with the ‘Bird, but it wasn’t a bad play on her part- just the more aggressive one (getting the damage in first). She pays for it, though, when I cast a Sylvok Lifestaff, Equip it to the Mage and swing in for 2 (taking her to 18), then following that up with the Lumengrid Drake. With Metalcraft on, I opt to return the Trinket Mage to my hand, letting him escape a certain death by Proliferate. It’s now turn 6, and Sam drops a Trigon of Thought. With an aerial blocker, she wisely holds off on her attack and passes. I have just enough mana to load up my Drake- with the Lifestaff, Axe and Shield it’s now +3/+3, Vigilant, and will grant me 3 life if/when it dies. I swing in for 5, and Sam drops to 13. Still not willing to give up the aggressive option despite herself, Sam pushes the ‘Bird and Guard into the red zone the following turn. I block the ‘Bird with my Drake, and she sacs it in response to the Culling Dais. The Guard slips through for 1. I return fire for 5 more from the Drake, then cast a Riddlesmith and the Trinket Mage, drawing a Memnite and pitching an extraneous Island. At the end of my turn, Sam engages the Censer and Trigon of Thought, doing 2 more damage to me and drawing a card. A turn 8 Contagion Clasp helps her, but it may be too little too late. She puts a -1/-1 counter on the Drake, then passes. With her on the ropes I go all in, the Mage, Drake, Riddlesmith and Memnite. She offers the Thrummingbird up to stop the Drake, and picks off my Riddlesmith with the Maritime Guard. Undeterred, I replace it with a Rusted Relic, and Sam’s triggering of her Necrogen Censer isn’t nearly enough to save her. She draws, draws again with her Trigon of Thought, and scoops. In playing Metalcraft, I was surprised by how difficult it was to get three artifacts in play. The last game notwithstanding, there was definitely a tension there between playing some rather dubious artifacts and getting actual creatures onto the board. As such, I’d be seeing a row of Equipment, with little to affix it to. Or casting a turn-3 Golem Foundry. The deck almost hampers itself in the early game, as you cram in your strategy to allow you to explode later on. I’m walking away from the playtest with the dawning realisation that Metalcraft isn’t quite as easy as it looks. For the most part, the cards themselves were solid. The aforementioned Golem Foundry was unredeemable junk. I’m paying three mana for a 3/3 creature… on Suspend? No thanks. Rare will be the game you’re able to squeeze more than one Golem out of this thing before the game is decided, but it may find some fun use in slower formats like multiplayer or EDH. It’s not worth its slot here. Similarly, the Golem’s Heart is a poor contender, as the lifegain is hardly worth the use of the slot. I’d take a fourth Galvanic Blast in lieu of it any day of the week. Indeed, removal was a glaring weakness here. Plinker cards like Thrummingbird were real pains against the deck until I could bring a flyer on-line to meet it. 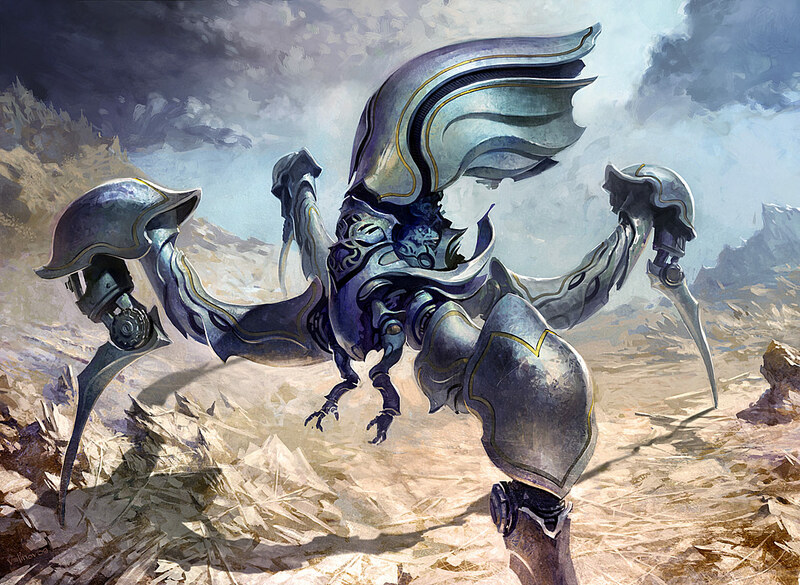 Metalcraft is a sitting target for decks with utility creatures like a Myrsmith or Hand of the Praetors, where unless they meet on the field of battle there’s little it can do about them. This was the biggest disappointment in the deck. 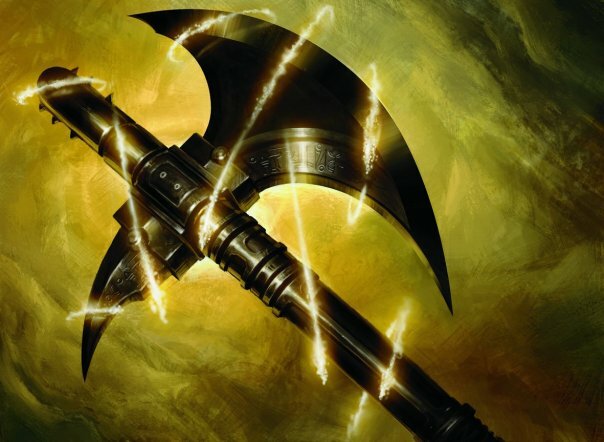 That said, while it wasn’t as delightful a time as, say, Phyrexian Poison, it did a stellar job of illustrating the Metalcraft mechanic, showing what it is as well as what it isn’t (something for nothing). It was interesting noting the frequency with which the deck is able to get three artifacts in play. Over the course of the three games here, Metalcraft was on-line just shy of 60% of the time, but you may note it tended to be a bit ‘swingy.’ Typically you should expect to get it established about halfway through the game, unless your opponent is able to thwart your strategy. Much to my dissappointment, the Sphinx did not show up anywhere. I really would have liked to see her. Another observation of mine: For a deck featuring blue there is little card drawing present. Therefore I tend to doubt Hireling’s recommendation of removing the Riddlesmith. To bolster this aspect additionally, why not add M11’s Crystal Ball? It is an artifact plus it improves card quality. Something else that surprises me is the effort it obviously takes to get the artifact count up to three. I guess it’s a matter of casting cost: While there are some cc0 and cc1 items given, the average artifact’s cost in this deck lies between 2-3. 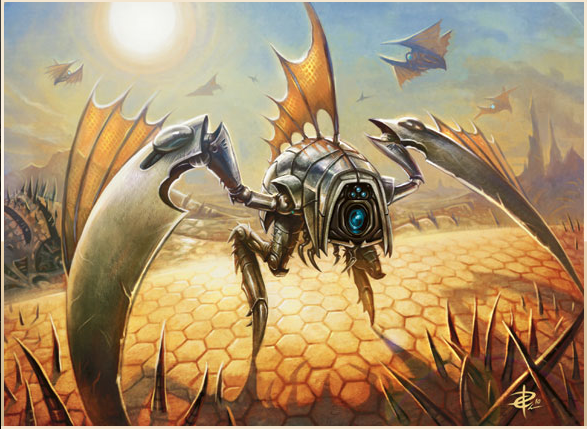 But turn three is when you should start playing the real spells at the latest … To address this issue, it might be interesting to add some Memnites as well as Ornithopters in order to have the option of reaching the state of metalcraft on the second turn. So much for now, I’m curious for other comment’s on this report. The author judges the cards by their casting costs considering metalcraft being turned on and off. Quite intersting: Keeping strictly to cost/benefit ratios, a BR-Metalcraft deck would be recommendable. And despite the lack of battlefield experience, the number crunching provices nice findings and a new perspective on that matter. Golem Foundry and it’s big cousin coming up in MBS, I really want to like. I really really want to. I look at my Tezzy deck and go “I have 4 Energy Chambers. 6 Proliferate cards. I can make this work!” Then I realize that GF gives me a 3/3 token. I could have spent only 4 mana for one of my favorite artifacts: Synod Centurion, and I could have gotten it instantly. I just can’t justify it. By the time I pop it once, I could have used those Chambers on Everflowing Chalice or something with an instant bite. I love the idea of being able to pump out Golems. I really do, but if I’m not playing a multiplayer game, I just don’t see the point. My Pentavus would give me the stink eye for not dumping those charge counters on Chalice so he could come out early. Recently reworked my tezzy deck some. Golem actually isn’t bad in it. I really want to try out it’s big bro soon, since my deck’s mana curve is heavier on the front end now. I quickly have solid mana base.